Spend a very special afternoon with the Fleas! We'll be offering a ukulele workshop -- for beginners and those who are more advanced too -- plus an Edukated Fleas concert, followed by a uke jam! Join us for the whole program, or enjoy a hike at the beautiful Sticks and Stones Farm and just come to the concert. Workshop: Swing and Jazz Standards, Simply! Learn how to simplify complex looking chord charts so that almost any tune is within reach! Yes, you can play it! Beginners welcome too -- loaner ukes available. Workshop: $20; Concert $10; both $25. Attention ukuleleists! 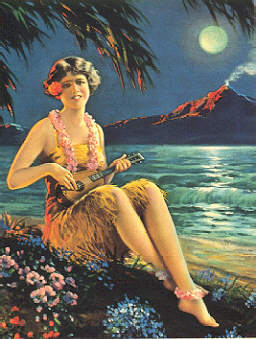 Dust off those ukes, and come join us for a great ukulele evening, hosted by the Edukated Fleas and Uncle Zac! There will be a terrific lineup of ukulele performers, plus PLAY ALONGS! Yes, everybody gets to play, so bring your uke! And, we'll close the evening with a ukulele open mic, time permitting. Right next to the train station! Fleas present a workshop at 12:30pm Saturday, June 9th! 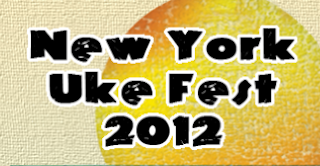 The NY Uke Fest is not to be missed! Concerts, workshops, vendors, and a luau! WOW. Speaking of workshops, we'll be presenting ours on Saturday at 12:30: Standards, Simply! Great for advanced beginners who want to play swing and jazz standards, but who find the chords a bit daunting. Here's an easy way to get started.